How do I book a vacation ? Once you are ready to book your vacation you may visit our website and check for availability through our search network. You may also contact the reservations department directly to speak to a vacation coordinator. Can we change our request while it is being worked on? Yes, you may change or cancel your request at any time during the searching period until confirmation. Please contact a vacation coordinator and your request will be revised immediately. Can we cancel a reservation once we confirm ? Once you have confirmed a unit with a vacation coordinator, there is no provision for cancellation. The representative will verify the dates, size, location and any outstanding balance. Resorts will not allow any date or unit size changes. Do I need any documentation to check into a resort ? You will need a written confirmation to check into your resort. You should receive a written confirmation in the mail about two weeks prior to your departure. Kindly note, if there is an outstanding balance owing your confirmation papers cannot be released. Please remember to take the confirmation with you on your vacation. Your travel documents may contain important information that you may need during your vacation. What are the most common start dates at resorts? The most common start dates are Friday, Saturday and Sunday, which depend on the resort and the broker that is providing the property. In most cases start dates cannot be altered or changed as there is usually someone checking in before and after your stay. Should I book my airline tickets first or my accommodations? As some resorts have different check-in days it is advised that you allow the opportunity for Suitelife Vacations to first find a match to your accommodation start and finish date request. After this, you may book your airline tickets. In most cases you will be given a period of time to hold your accommodations in order to finalize your airline tickets, car rentals etc. Can I give my week to a guest? Yes, you may give your week to guest. You will be required to sign a request form authorizing your guest to use your week. Please ask your guests to read the terms and conditions set forth in your Membership so that they are familiar with our policies. Guests will be expected to adhere to all terms and conditions of the membership. 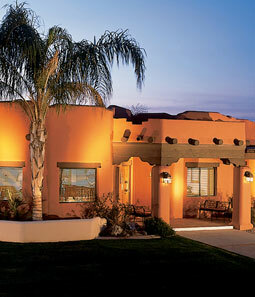 A $29.00 US guest fee will apply per week booked. There is no charge for immediate family. Who do I call to refer a friend or family member? A Hot Deal is a bonus to all our members and the weeks are unlimited. These weeks are discounted 30 days prior to the resort's check in date and can be booked for family members, friends and co-workers. Take advantage and enjoy these great weeks through your membership. What does Suitelife Vacations provide that exchange companies like RCI or II do not? RCI and II allow owners to have access to weeks in their exchange systems for a fee. The trading power of your ownership determines the exchanges that you can make. Only through Suitelife Vacations can you also make reservations of varying lengths, in different seasons and in different villa sizes. 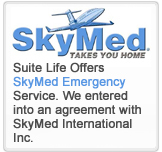 Through Suitelife Vacations you can also accelerate usage your membership.